Aromatic sage and addictive absinthe cast this spell: bright citrus notes of pink grapefruit spiced by peppermint and pink pepper introduce a radiant, effervescent top. The coupling of absinthe and sage accented with vibrant star anise achieves a core signature that is at once hot and cold. Patchouli adds a layer of mystery to this potion with its herbaceous, woody and suave nuances, contrasted by the warmth of labdanum and enhanced by subtle notes of green tea leaf. This delight for the senses incorporates wormwood - one of the key ingredients of the infamous absinthe spirit - rarely used in perfumery yet offering an herbal bitterness coupled with aromatic sage. The radiant top of Sage Spell is achieved with a bright citrus pink grapefruit essence spiced by vibrant notes of pink pepper and peppermint essences. Everyone needs a little magic! Continuing in the spirit of their enchanting universe, Viktor&Rolf present a collection of six magic fragrances: transformative illusions, dedicated to making the impossible, possible. 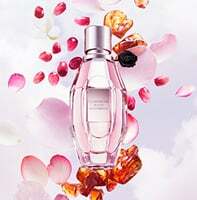 Each fragrance is a masterful composite, blending raw and natural materials with innovative accords. They are a touch of magic! Magic Sage Spell is rated 5.0 out of 5 by 1. Rated 5 out of 5 by Dink73 from Intoxicating!! I received a sample of Sage Spell from Sephora and it is mind blowing!!!!! The earthiness smells like heaven on my skin. Perfect for this fall weather. I’m gonna have to put this on my Christmas list. I think I’ve been good enough! !